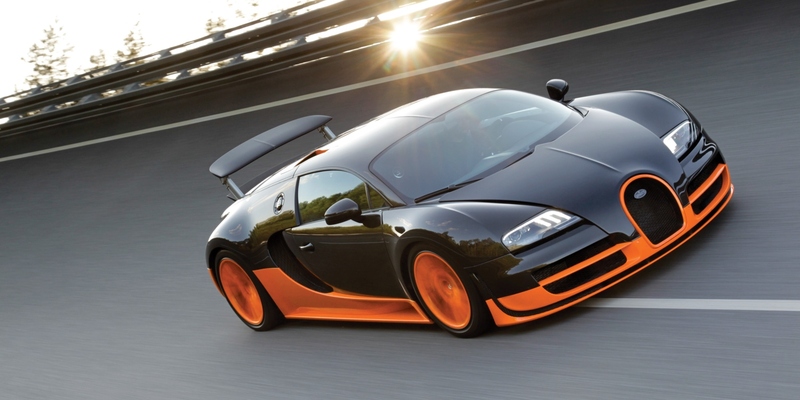 Is Bugatti creating an even faster Veyron? A sort of super-duper super sport version of the old Bugatti Veyron 16.4 Super Sport that according to the rumours mill, is going to have a top speed of 488 km/h (303 mph). Really? Since Bugatti and especially the Bugatti Veyron 16.4 Super Sport lost the title "Fastest production car" in the world, just days ago. This was because the Guinness World Records representatives discovered that the car had been modified with a deactivated speed limiter. The rules claim that the car must be mechanically identical to the version sold to customers, which it clearly wasn't. Rumour are now flying around about a new Bugatti that might just be the ultimate road going vehicle. A sort of super-duper super sport version of the old Bugatti Veyron 16.4 Super Sport that according to the rumour-mill, is going to have a top speed of 488 km/h (303 mph)!!! Clearly a rather insane number, if it's true. Bugatti themselves spurred on the rumours by posting the following statement on their Facebook account "The stage is set. It’s almost time for us to share the latest example of exceptional Bugatti performance, simply keep a close eye on Facebook over the next few days." Does this mean that they are going to take back the record set in 2010?